Since we have recently introduced compatible, high quality Mimaki ink cartridges at www.toner-spot.com, we feel compelled to start a series of blogs on how to properly maintain these high performance Mimaki large-format printers. 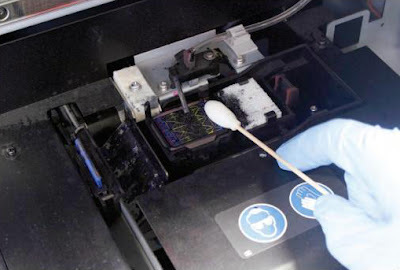 The ink cartridges used in Mimaki JV33 and Mimaki JV5 printers are different than the regular printer inks. 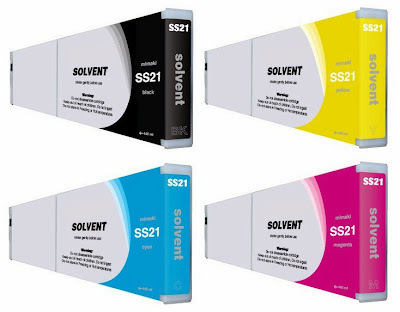 The two ink models are ES3 and SS21 solvent inks, which are mostly made with oil based liquids. This type of ink has better resistance of deterioration and ultraviolet radiation. As a result, solvent ink is mainly used in commercial printing materials such as outdoor banners and signage. The printer maintenance is crucial for any printer, and especially for such these printers that specialized in high quality and precision printing. Preset maintenance procedures can be performed by clinking on the “function” key then select “maintenance” on the printer panel. There is also automatic cleaning function that can be accessed by clicking on the “cleaning” button then select the type of cleaning needed. Sometimes the printer does require manual cleaning of the capping station and the wiper due to the pigments building up around these areas. One way to clean the capping station is by dipping the cleaning swab in the cleaning solution. Use the swab to gently clean both areas and make sure to move in one direction only instead of wiping back and forth. 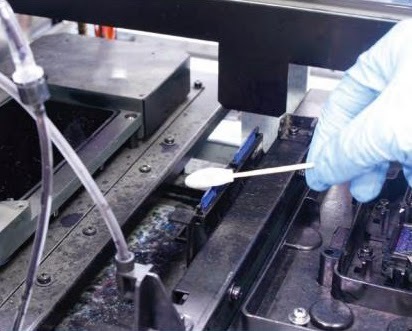 Wiper cleaning is especially important because it collects excess inks from the nozzle plate and gelled ink might present. You can always email us at sales@toner-spot.com for more Mimaki printing supports and our technician will be more than happy to assist you. 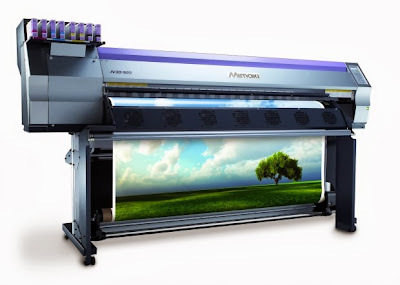 Meanwhile, for more affordable printing supplies, try our high quality ISO-9001 certified and STMC compliant re-manufactured Mimaki ES3 and SS21 ink sets at www.toner-spot.com. Remember to use the coupon code SAVE10 to receive 10% off entire purchase before offer expires! Save even more with free shipping when orders exceed $75! $649.99 but only $584.99 with free shipping after 10% off discount! $439.99 but only $395.99 with free shipping after 10% off discount! You can always email us at sales@toner-spot.com if you require assistance to order. All website orders come with a one year Satisfaction Guarantee.